ChaosMatrix won a recent giveaway I did for reaching 1,000 subs. There were two prizes - one billion energy credits for use in Star Trek Online & a bespoke film and wallpaper package made by me and the enhancements I do to demo record sequences captured from STO which we brand as Star Trek Offline. 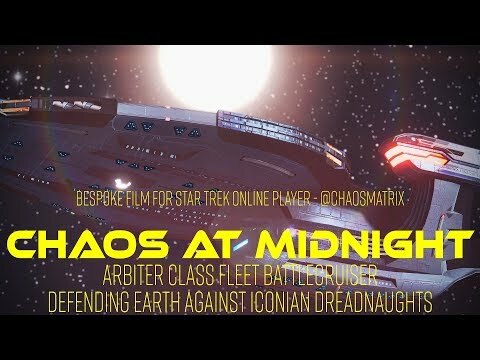 ChaosMatrix's brief for what he wanted his video to have was to feature his T6 Fleet Arbiter Class (with T5 Avenger hull) Battlecruiser in his favorite mission from the Iconian Story Arc - MIDNIGHT. Nice one. You do good work! Beautiful and awesome work as always sir!